We've seen in-game footage of Metal Gear Solid V: The Phantom Pain, and we've even had lots of hands-on time with the game, but that doesn't mean we know much about the story Kojima is trying to tell. This trailer, revealed at Gamescom, gives glimpses into the different character and their motivations, and those expecting typical Kojima ridiculousness won't be disappointed. There's also a brief shot of Quiet, and a clips of some freakish minibosses: Creepy Floating Gas Mask Dude and On Fire Man. Confused? 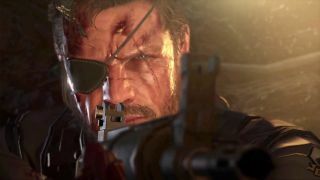 Check out Andy Kelly's beginner's guide to Metal Gear Solid V for more info on Big Boss and Skull Face, and where we can expect Phantom Pain to kick things off when it comes out on September 1 this year.